"Absolutely superb, tying for the best pizza we sampled"
"For lunch, dinner or happy hour, Schottzie's Bar & Grill is a great place to hang out with friends and enjoy some food and drink"
Schottzie's Bar and Grill, located at 11428 Concord Village Avenue, is a South County tradition. 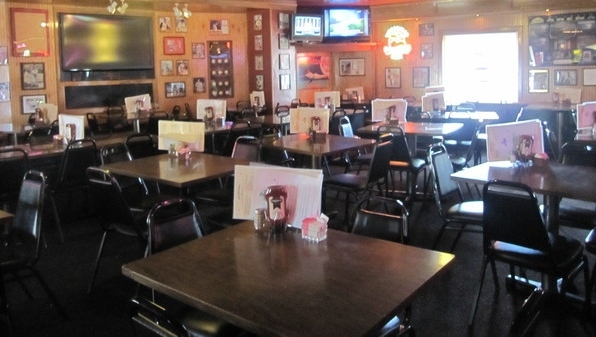 Famous for its pizza, delicious food and low prices, Schottzie's offers something for everyone. We are conveniently located in South County one block north of Tesson Ferry and Lindbergh. Our menu features a wide variety of choices including traditional bar food, soups and salads, sandwiches, dinner plates, and of course, Schottzie's famous pizza! All items are available for carryout. Free parking and handicap parking available. Schottzie's Bar and Grill was featured on "Bizarre Foods America with Andrew Zimmern" Click the video below to watch!! !